Steeleye Span, The Demon Barbers, The Dransfields , Damien O Kane, Dougie MacLean and more. 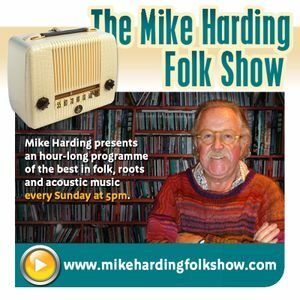 Visit the show website if you have time at www.mikehardingfolkshow.com and there you will find links to the artists you have heard on this show as well as links to folk clubs in your area / folk festivals / record companies and much more. And please sign the Guest Book if you don&apos;t mind - unless you are Ivor Bolokov from Minsk and you are still trying to sell me viagra. great show mike.i listend with a few glasses of home made nettel wine.the carolina chocolate drops track country girl mentiond drinking dandilion wine, that made me smile.